If you have used ASP.NET to upload documents into a database and got the error "There was an error opening this document. The file is damaged and could not be opened." 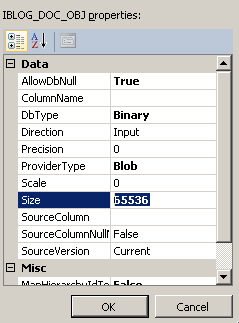 If you are using a DataSet and TableAdapter check the parameter on the stored procedure (if you used a stored proc) the size probably defaulted to 65336. Change it to -1 and you will be all set. 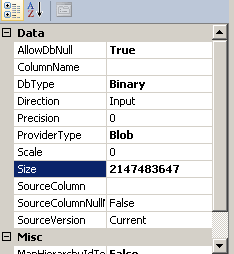 Check out this ASP.NET example over at Dev Fusion. Very simple, very elegant. Sample download included here for reference.